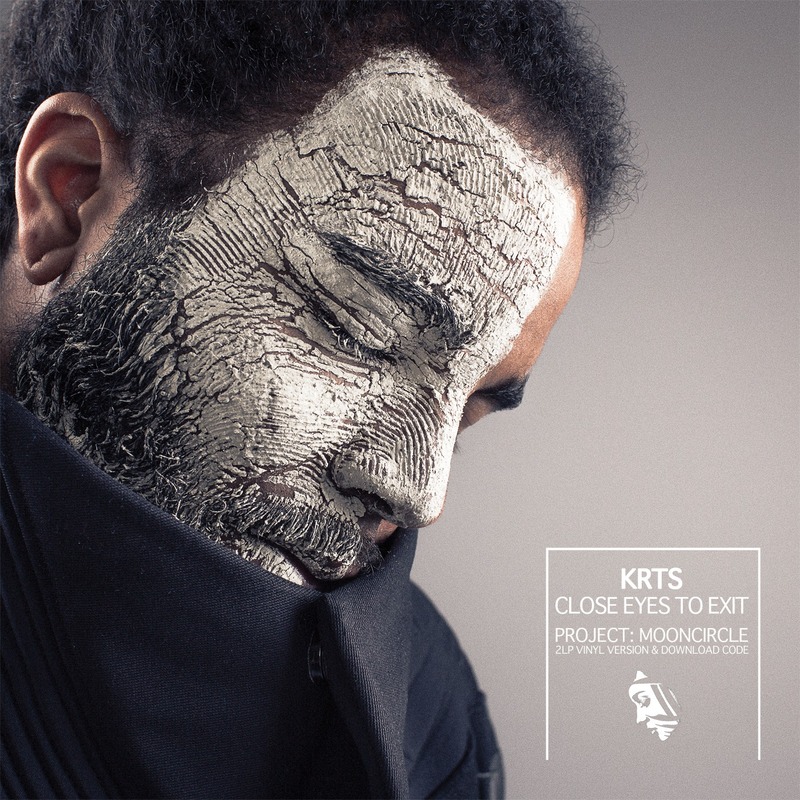 Coming this winter via the Berlin, Germany label Project: Mooncircle, is KRTS’s second full-length LP, Close Eyes to Exit. Inspired by recent world events, each of the album’s 12 tracks dwells upon the world we live in now, a world struggling to rid itself of corruption, hate, bigotry, and ignorance. The resulting record is equal parts raw, emotional, dense, and danceable. This is KRTS at his creative peak. “White Privilege” is a perfect example. Elegant melodies and a speedy jungle beat will have you bopping your head without a care in the world. “My Head is Jumpin’” features Charles Larson and Tito Ramsey of the Brooklyn-based indie-pop act, Legs. The track is a biting meditation on our internal struggles and the many different bodies that encase them. How do we process the hurt, the pain, and the unreal? How do we manage these feelings living inside us? “Serve and Protect” features Sacramento MC Mad Flows. It speaks to the media’s portrayal of death in the black community as an unjustly “normal” occurrence. Mad Flows spits out fear, rage, and loss—a direct response to the policing of America. Your head will spin. Move to the rhythm within the chaos and let it lead you through. Your head is jumping. The world is bigger than you or I. Keep moving. Turn up the volume. Close your eyes. Exit. ‘Close Eyes To Exit’ comes out worldwide on double, white vinyl (including download code) & digital. Always keen to hear a KRTS record. It seems to me that the second album is slightly more lyrical, slightly more melodic than the first one. The first one was brilliant, there was some great stuff on there and I really really enjoyed the first record. But this one seems to be slightly more daring, shall we say. He may not feel that way but thats what strikes me initially. Great artist, great album again! Reaching for new more uplifting territories here and there, great collabo with Mad Flows and, and, and…heavy airplay! Another perfect album on Mooncircle by KRTS! 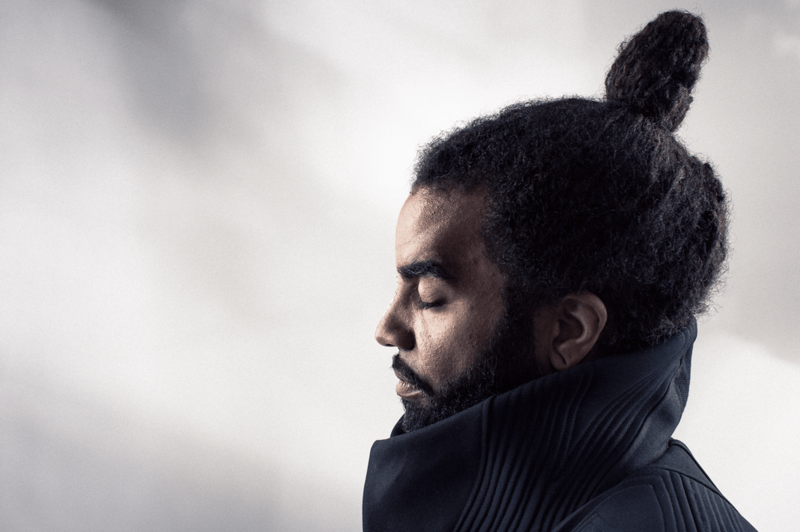 Interesting to see KRTS develop his sound with this album and adopting a more eclectic approach, loads of good tracks on the album and something for everyone, will give full radio support. Awesome once again, growth. I can’t pick a fave withouth playing in full. Vibes tho! Close Eyes To Exit looks set to continue that run of ultra high-quality music. Although there are unplaceable and alien tones in play, and heavy reference to the rhythms of 21st century rap and nineties jungle, nothing here sounds computery.